Romain Grosjean's career path in Formula 1 hasn't been easy. Most believe, and we're sure young Romain himself will be inclined to agree with this, that his debut in F1 came far too soon, what with the many crashes that he managed to get himself into. Then, however, Grosjean moved to GP2, which is where he proved to be quite a force to reckon with. Even though his return to Formula 1 didn't kick off quite the way he'd have liked - his many crashes earned him a one-race ban in 2012 - this year is a whole lot better. On the back of a stellar performance at the 2013 Japanese Grand Prix, Grosjean finds himself with the hopes of the Renault team riding on his shoulders, especially thanks to the fact that Kimi Raikkonen is leaving for Ferrari. 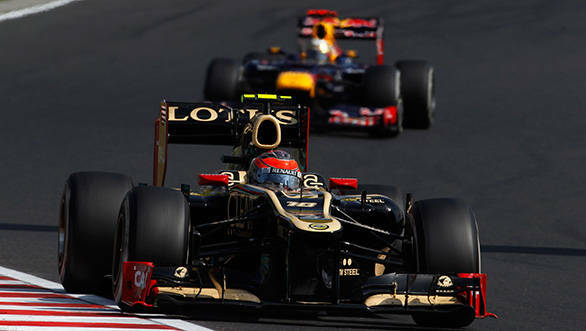 But despite strong performances in the last couple of races, Lotus hasn't yet confirmed their drivers for the 2014 season of Formula 1, leaving a question mark hanging over Grosjean's future. "No, there is honestly no announcements," the Frenchman declared to the rest of the media. "I think everything is open for the future," he continued, when asked about whether or not there was any news about him continuing with Lotus. But the reticence of the Lotus team to declare the names of their drivers for 2014 isn't down to a lack of options in terms of drivers. Lotus has other trouble brewing. "I think they are trying to solve the financial trouble," Grosjean told journalists gathered at the Buddh International Circuit. Given a chance, though, would Grosjean want to continue at Lotus, a team that has given him the opportunity to mature as a racer over the course of two seasons? "I'm pretty happy to be here, but you never know what the future is," Grosjean declared before adding "It's been a pretty good year. I hope we can move forward quickly." The wait before he knows his future in Formula 1 will continue until after the season is over, though. 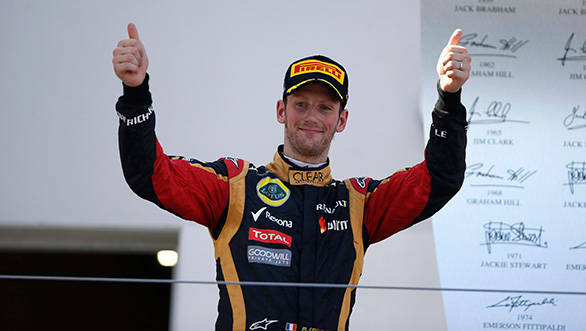 Grosjean was left waiting till December 16 last year before he was able to confirm his race seat with Lotus for 2013. "But hopefully they will have done it by then because I plan my holidays before that and it will be nice to go on holiday with the future sorted," the Frenchman declared laughing. And what of his own goals in terms of his Formula 1 career? "I would like to try to become world champion one day. And to achieve that you need to be a leader. That's what I'm trying to work on and improve myself to achieve that," Grosjean declares. Well, given his performance so far this season, we're inclined to believe he will make it back to Formula 1 next year. Provided, of course, he doesn't get elbowed out by a driver with a lot more funding. "It's the game of the sports engineers. It would terrible to, touch wood, leave Formula 1 and go somewhere else," he says. However, there is still that possibility. "Well, then I go somewhere else," RoGro laughs.